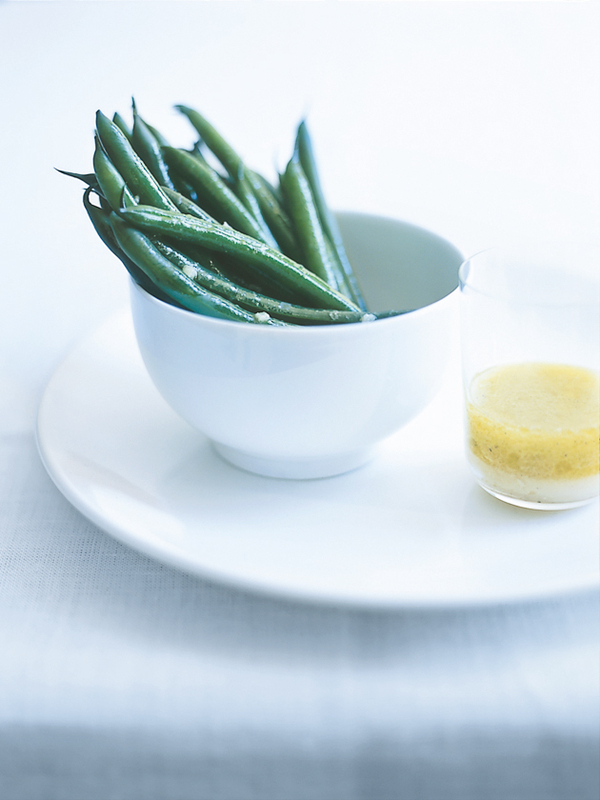 Place the oil, vinegar, mustard, lemon juice, garlic, salt and pepper in a bowl and whisk well to combine. Place the vinaigrette in a saucepan over medium heat. Add the beans and cook for 1−2 minutes or until warmed through. Serve with the remaining vinaigrette on the side. Serves 2.